The Merc with a Mouth has arrived… and on Extra! Revealed on Ryan Reynold’s Twitter (@VancityReynolds), fans got an awesome treat on April Fool’s Day as Reynolds shot a link to a very special Extra interview with A.C. Slater himself, Mario Lopez. 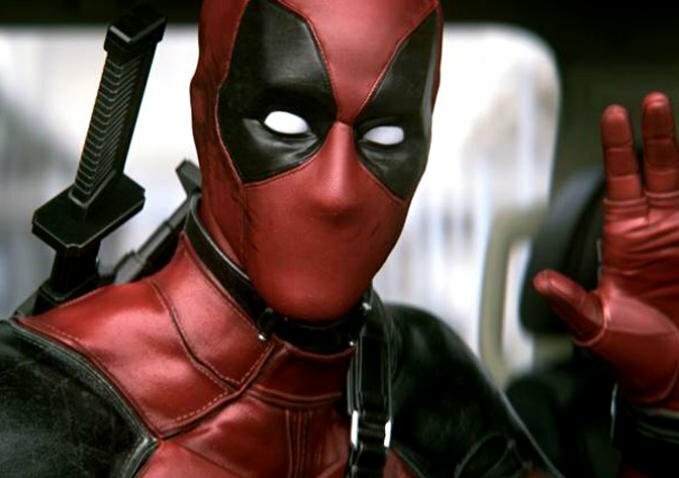 Just watch the video and jump for joy, as 2016’s Deadpool movie will be rated R! Why is this important? Marvel Comic’s Deadpool is a character full of flaws: those flaws include vulgarity, stabbing people, bludgeoning people… and more violent ways to spill blood. This movie was born to be R rated, and I for one will be first in line for opening night. Deadpool, since his debut way back in New Mutants, has been a favorite of mine. The wise cracking mercenary known as Deadpool has been a runaway hit since making his debut, and I have followed the character ever since. Reynolds is the perfect casting choice for him, and everything I have heard so far is totaling up to a comic book film no one is expecting. Deadpool comes out on Valentine’s Day 2016, just in time to go toe to toe with all those sappy chick flicks.